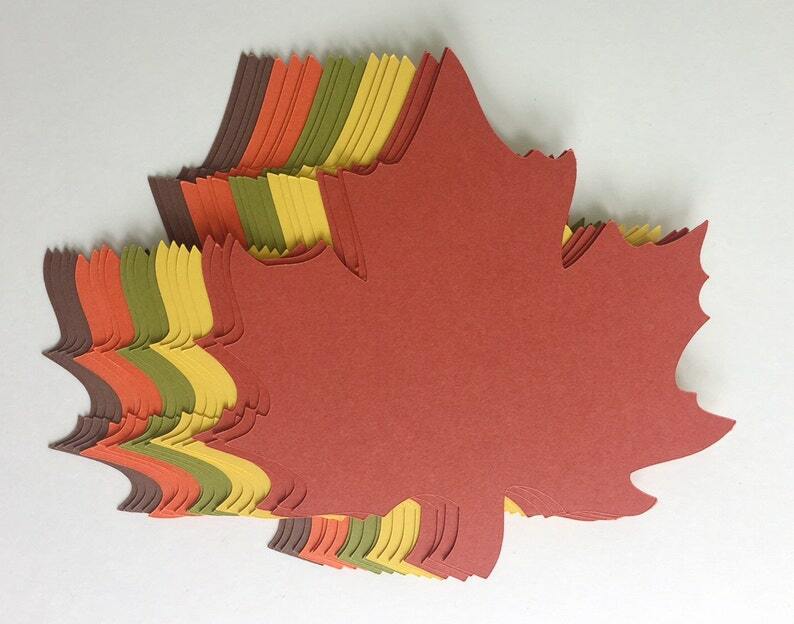 You will receive 100 of 4 inch Large Fall Maple Leaf Leaves embellishments, 20 in each color. Large Maple Leaf are hand punched from acid free cardstock. Great for scrapbooking, card making, altered art, hang tags, collage, confetti, etc. I do sell fall leaves in different shapes and sizes. Please head out to my shop and check out "Fall/Thanksgiving" section. If you need different sizes or quantities, please convo me! Please come back to find more wonderful goods. Also part of a crafting project for fall done in white cardstock. Love them and can't wait to get started on my garland. Alix was amazing to work with exhibiting perfect customer service in responses to questions. I SHIP ALL MY ITEMS FROM THE ADDRESS PROVIDED BY ETSY. PLEASE MAKE SURE YOUR ADDRESS IS UP TO DATE BECAUSE I CAN NOT BE HELD RESPONSIBLE FOR ADDRESSES THAT ARE NOT UP TO DATE. I use USPS for all my orders.Most of my items are shipped in good quality bubble envelopes. If you need something to you faster than what is offered, you can always contact me for faster shipping times (additional costs may apply). I will always have your items shipped out in time for your event (or I will not take the order). Unfortunately I have no control of shipping delays from the post office. Your feedback is very important to me. If for some reason you are not happy with your purchase, please contact me before leaving feedback so I can try and fix what was wrong. Thank you very much!! !